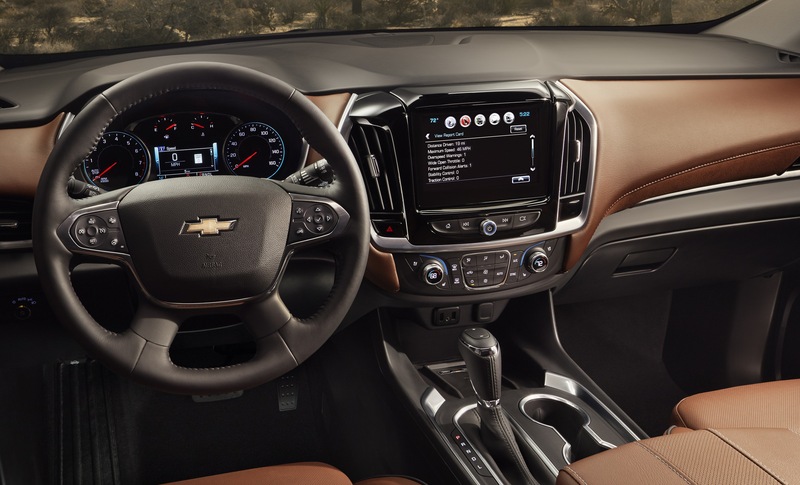 Wallace Chevrolet > GMC > New Chevrolet Traverse – 8 Best Features! New Chevrolet Traverse – 8 Best Features! 1) A Sporty Model Joins the Lineup! For the first time ever Chevrolet has added an RS model to the Traverse lineup! The sportier, more expressive RS model adds unique, blacked-out exterior accents with a black chrome grill, black bowtie, 20-inch wheels and more! RS models also add an exclusive 2.0L turbocharged engine that produces more torque than the V6 model. It comes paired with a new 8-speed automatic transmission. 2) …And even more Luxurious Model, too! The RS isn’t the only new model! 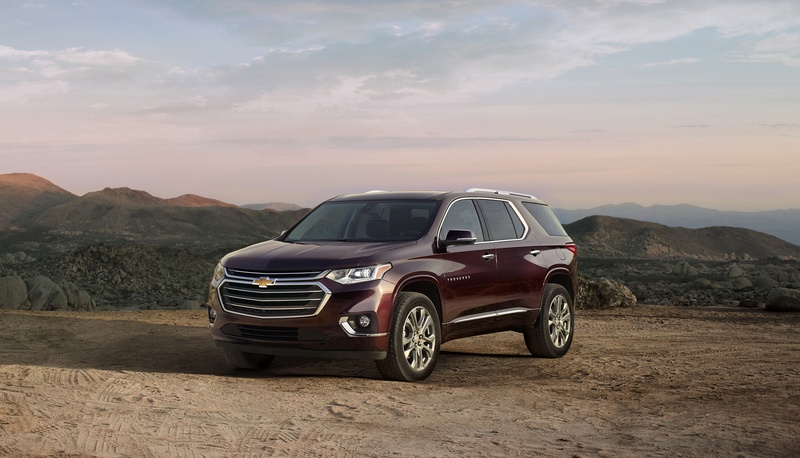 A new High Country model, a trim level traditionally found on high-end trucks, will soon join the Traverse lineup. It adds a swath of premium features like unique Loft brown leather interior, 20-inch polished aluminum wheels, D-Optic LED headlamps, standard twin-clutch AWD, a power fold third-row seat and High Country badging. Slick! 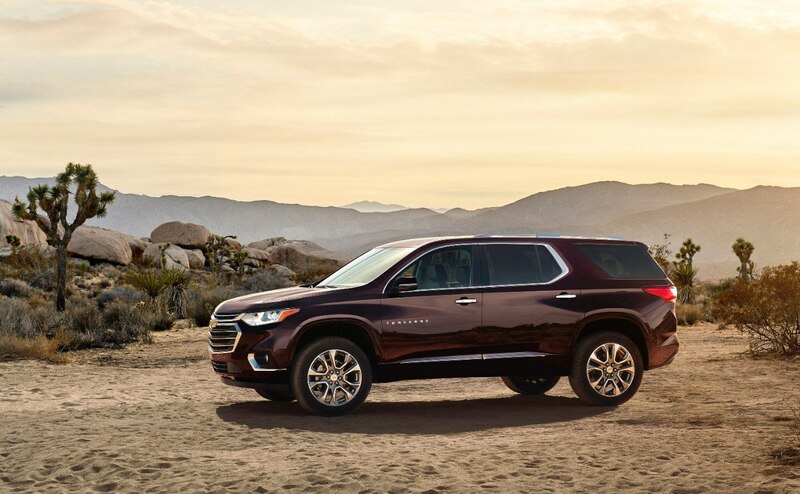 Loading the new Chevrolet Traverse is easy thanks to an available hands-free tailgate. And now it’s even easier thanks to the illuminated bowtie! Now, the Chevrolet logo lamp feature illuminated the ground to show where drivers need to place their foot to activate the hands-free tailgate…even in the dark!! Smart! Loading passengers in and out of Traverse is easier than ever thanks a new split-fold second-row seat! It improves on Chevrolet’s Smart Slide feature by allowing the the curbside seat to tip up and slide forward, even with a forward-facing child seat in place, to provide open and easy access to the third row! New Traction Select Mode is standard on all models and allows the driver to make real-time adjustments to the vehicle’s driving mode to account for varying road conditions. On AWD models, it allows the system to completely disconnect from the rear axle, which helps save fuel and enhances refinement. Traverse is all about accommodating loads of people and their stuff! 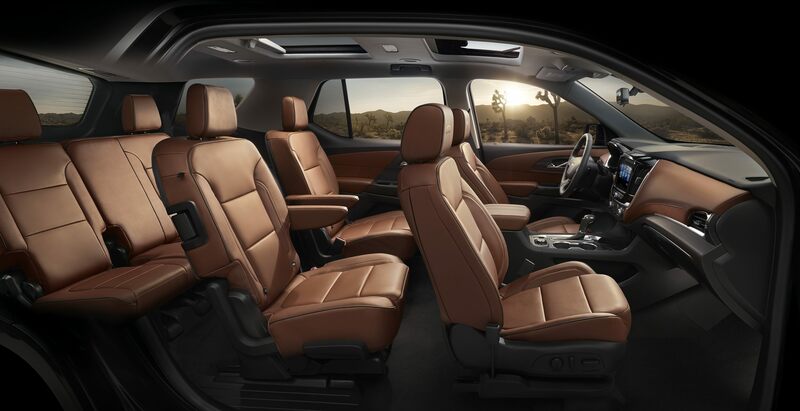 With that in mind, Traverse now features an even longer wheelbase (distance between the front & rear wheels) with available seating for up to eight people! It’s expected to offer best-in-class passenger volume as well as a max cargo room of 98.5 cubic feet (2,789 litres). And with larger, more abundant storage cubbies there’s always a place to put your stuff! 8) Loads of Awesome Technology! We all love technology that enhances our lives…and that’s why Traverse was specifically designed to be easy and uncomplicated! Navigate the available 7 and 8-inch MyLink infotainment systems that support the best phone-to-car technology ever…Apple CarPlay & Android Auto! Plus, passengers will have access to USB charging ports in all three rows, available wireless phone charging, OnStar 4G LTE Wi-Fi hotspot, and more!